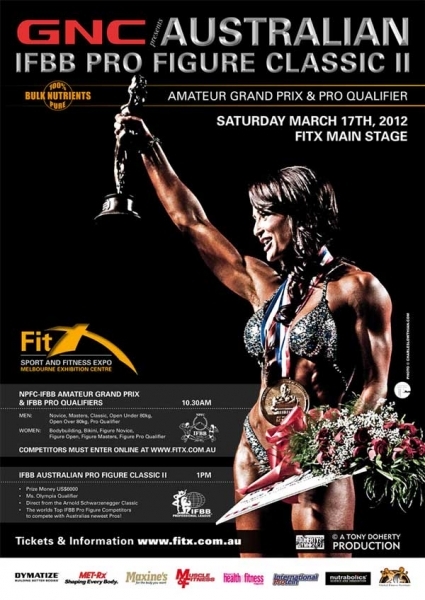 2012 Australian Pro Grand Prix Posters are Out! 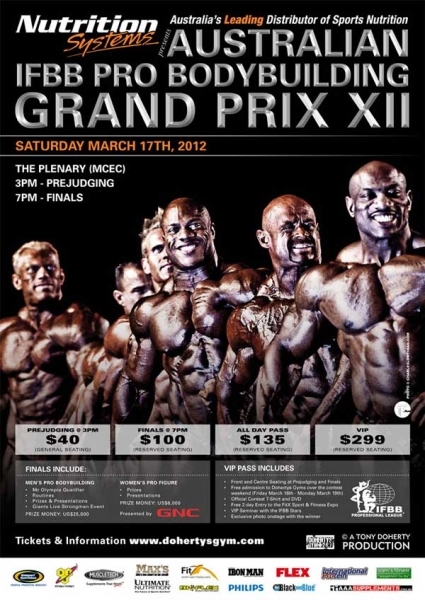 Tony does an Awesome job Promoting this Huge Event and brings in the World's Best for the Weekend! Past Champions like: Cormier, Dexter, Kai & Dennis have nothing but great things to say about the Fans and the promotion along with others who've made the trip like, Melvin Anthony, Dennis James, Ronny Rockel and Toney Freeman! This year will be no different starting with Meet and Greet with the athletes Thursday at Tony's Gym, then seminars and then the contest on Saturday.